Observations: 19:11 Although the contents of this verse is included in the Ten Commandments (Exodus 20), it's worth having as a separate memory verse because these sins are so common in our society. 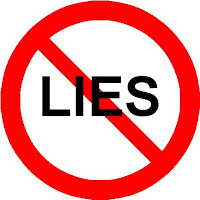 We're tempted to steal or deal falsely (not portray things honestly in good faith) or lie to and deceive others because we don't believe God. We don't trust that He is good, and will give what's best, when it's best. So we disobey Him, and violate the rights of others, and fail to act in love, to satisfy our selfish appetites. We also don't believe that God is omniscient and just. We don't fear His judgment, both for being unfaithful to Him and unjust to others. Hebrews 4:13 "And there is no creature hidden from His sight, but all things are naked and open to the eyes of Him to whom we must give account." Application: When tempted to act unrighteously, think about how you'll explain it to a fearsomely holy God. Prayer: Heavenly Father, help me be content with Your provision, and help me follow Your will so You can develop me and give me all that is best for me. Thanks. Amen. 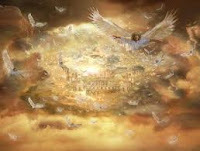 Revelation 21-22 The final chapters of the Bible present the eternal blessing and rewards the faithful believers will receive and enjoy when Christ returns. John sees the new heavens and new earth, the future heavenly Jerusalem descend out of heaven and takes a tour. He sees the River of Life and the Tree of Life, and records the promises of Jesus to the Church Age saints. Jesus freely offers the water of life to whomever thirsts, but the fruits of the Tree of Life are reserved exclusively for those who faithfully obey Him (just like it was in the Garden of Eden). Drink deeply, and eat heartily. 21:1 "And I saw a new heaven and a new earth: for the first heaven and the first earth passed away, and the sea is no more. 2 I saw the holy city, New Jerusalem, coming down out of heaven from God, prepared like a bride adorned for her husband. 3 I heard a loud voice out of heaven saying, "Behold, God’s dwelling is with men, and He will dwell with them, and they will be His people, and God himself will be with them as their God. 4 He will wipe away from them every tear from their eyes. Death will be no more; neither will there be mourning, nor crying, nor pain, any more. The first things have passed away." 5 He who sits on the throne said, "Behold, I am making all things new." He said, "Write, for these words of God are faithful and true." 6 He said to me, "It is done! I am the Alpha and the Omega, the Beginning and the End. I will give freely to him who is thirsty from the spring of the water of life. 7 He who overcomes, I will give him these things. I will be his God, and he will be My son. 8 But for the cowardly, unfaithful, sinners, abominable, murderers, sexually immoral, sorcerers, idolaters, and all liars, their part is in the lake that burns with fire and sulphur, which is the second death." 9 One of the seven angels who had the seven bowls, who were loaded with the seven last plagues came, and he spoke with me, saying, "Come here. I will show you the wife, the Lamb’s bride." 10 He carried me away in the Spirit to a great and high mountain, and showed me the holy city, Jerusalem, coming down out of heaven from God, 11 having the glory of God. Her light was like a most precious stone, as if it were a jasper stone, clear as crystal; 12 having a great and high wall; having twelve gates, and at the gates twelve angels; and names written on them, which are the names of the twelve tribes of the children of Israel. 13 On the east were three gates; and on the north three gates; and on the south three gates; and on the west three gates. 14 The wall of the city had twelve foundations, and on them twelve names of the twelve Apostles of the Lamb. 15 He who spoke with me had for a measure, a golden reed, to measure the city, its gates, and its walls. 16 The city lies foursquare, and its length is as great as its breadth. He measured the city with the reed, Twelve thousand twelve stadia. Its length, breadth, and height are equal. 17 Its wall is one hundred forty-four cubits, by the measure of a man, that is, of an angel. 18 The construction of its wall was jasper. The city was pure gold, like pure glass. 19 The foundations of the city’s wall were adorned with all kinds of precious stones. The first foundation was jasper; the second, sapphire; the third, chalcedony; the fourth, emerald; 20 the fifth, sardonyx; the sixth, sardius; the seventh, chrysolite; the eighth, beryl; the ninth, topaz; the tenth, chrysoprasus; the eleventh, jacinth; and the twelfth, amethyst. 21 The twelve gates were twelve pearls. Each one of the gates was made of one pearl. The street of the city was pure gold, like transparent glass. 22 I saw no temple in it, for the Lord God, the Almighty, and the Lamb, are its temple. 23 The city has no need for the sun, neither of the moon, to shine, for the very glory of God illuminated it, and its lamp is the Lamb. 24 The nations will walk in its light. The kings of the earth bring the glory and honor of the nations into it. 25 Its gates will in no way be shut by day (for there will be no night there), 26 and they shall bring the glory and the honor of the nations into it so that they may enter. 27 There will in no way enter into it anything profane, or one who causes an abomination or a lie, but only those who are written in the Lamb’s book of life." Observations: 21:1 Next John sees a new heaven and a new earth, because the first ones passed away (aorist), and the sea as well as the land mass was no more. This is chronologically after the Millennium, in which the sea still exists (Ezekiel 47:8-20; 48:28; Zechariah 14:8). The need for a new earth is that the old one was cursed, and thus an unsuitable place for God to dwell (Genesis 3:17; Isaiah 24:4-6; 19-23). Isaiah and the other prophets saw the future events of the Day of the Lord from afar, viewing multiple events (such as the Tribulation, various judgments, the Millennium, and the Eternal State), like a mountain range, and not distinguishing the spaces and valleys in between them. John sees them up close and differentiates between them. Peter gave a little more commentary on the climactic destruction of the atmospheric heavens and terrestrial earth. Like becoming a spiritual child of God, the new heaven and earth are not a reformation, but a new creation. God specifically tells John to write the words of the faithful and true God as John was told earlier (in Revelation 14:13 and Revelation 19:9) so his readers could put their faith and hope in God's revelation. 21:6-8 God affirms His sovereignty, and two actions that flow from it. First, that He gives freely, to all who thirst, from the spring of the water of life. This was promised by Jesus to the woman at the well and is affirmed again in one of the last verses in the Bible (next chapter Revelation 22:17). The emphasis is on God giving a free gift, to whomever wants it. As seen throughout the Scriptures, part of God's sovereign plan is for humans to have free will, and sovereign consequences attached to their free choices. Anyone who thirsts is offered the solution. Note, in Jesus' offer to the woman, the distinction between reception of the water and the eternal life which follows. See the discussion at the end of the last chapter about eternal life (dominion of the Age) being given as a gift to those who believe and are born-again. There is a distinction, as the next aspect of God's pronouncement make clear. The second action that flows from God's sovereignty is God giving heirship to overcomers. There is a correspondence between these last chapters and the first ones of Revelation, where the overcomers are promised rewards; those who don't overcome (be victorious) don't get them, but forfeit whatever they would have (see comments on the parable of the minas - Luke 19:24). For victorious overcomers, there is intimacy with God (cf the distinction between priests in Ezekiel 44). The recognition of a child as a son or an heir indicated that they would have the right of inheritance (equated with reward - Colossians 3:24 and in OT = 1 Corinthians 10 references). In the justice of God, for the losers, there is loss, which continues into the eternal state if one is following the sequential chronology. For believers who behave badly (see the list in verse 8) their allotted portion or inheritance is burned in the lake of fire. Works are burned or tried in Gehenna (1 Corinthians 3:15) the garbage dump outside the city, where faithful believers works are shown to be gold, silver and precious stones that remain, and result in eternal reward. The losers works are wood, hay, and stubble, and nothing remains to exchange for reward (Matthew 16:26; Mark 8:37). The inheritance or allotted portion of the unfaithful (see comments on Revelation 20:26) is in the lake of fire. Note carefully that the text does not say that the losers themselves are tossed into the lake of fire. That was the destiny of those who had never believed in Christ, and thus never got their names written in the Book of Life. All the “unbelievers” were consigned to the never ending torment of the lake of fire at the end of the last chapter (Revelation 20:15). This is a new day and new world in chapter 21, the old has passed. So these losers can't be those who were tossed into the lake of fire at the end of the last chapter. Again, note that these are not tossed but their allotted portion or inheritance (not place) is in the lake of fire. We'll actually see these losers again in the next chapter, excluded from the city. For some reason folks who've been exposed to a faulty oral tradition all their lives can't see the difference between justification and glorification, which is essential for understanding what might amount to a hundred difficult passages in the Scriptures (I haven't counted them, but that might be a low estimate, if one includes all the parables and contexts). 21:9-21 One of the angels who had one of the seven bowl/vial plagues invited John to see the wife, the Lamb's bride. This is not a person, nor a group of people (like Israel or the Church) but rather the heavenly city of New Jerusalem, in contrast to the harlot Babylon. The marriage imagery is used of the Church, Israel, and the City, and it should be obvious that they are not all the same entity just because they are described with the same imagery. John gets carried away in the Spirit to a mountain to view the descent of the city from heaven. The nation of Israel is still a distinct entity from the Church, as indicated by the names of the tribes being on each gate. The arrangement echos that of the nation camping around the Ark of the Covenant in the Tabernacle, on which dwelt the Shekinah glory of God. The wall of the city had foundations with the names of the twelve Apostles of the Lamb, representing the Church. Both Jews and Gentiles are united in future dwelling place of God, which is what Paul and Peter taught should be their status in the Church Age (Ephesians 2:22: 1 Peter 2:5). The angel measures the city: it has four equal sides and could be a cube (like the Holy of Holies) or a pyramid, 1,500 miles per side (more than 75% of the land mass of the Continental USA). 21:22-27 John saw no temple in the city, which distinguishes it very clearly from Ezekiel's Millennial Temple, because the Lord and the Lamb are its temple, perhaps meaning there is no longer any need for symbolic ritual, since the reality is present. There is no need for sun or moon because the glory of God gives light, as radiating from the lamp of the Lamb. The nations will walk by the light of the glory of God, which gives perpetual day, and no night. What are the nations doing in this picture? The kings of the earth (which implies that there are nations and kings organized in a hierarchical structure on earth, and not everyone is in the city) bring tribute, the glory and honor of the nations, into the city, so they may enter it (so much for the thought of a classless society in heaven, unless this isn't heaven). The kings only enter bearing gifts. No common, nor profane person, nor defiled (abomination), nor a liar can enter the city, but only those whose names have been (perfect tense) written in the Lamb's Book of Life, the register of those who can participate in the rule of a kingdom (see comments at the end of last chapter). Why is there a reference to there being people excluded from the city? See next chapter. Application: God graciously gives life to whomever wants it, but inheritance only to overcomers; those who exclude Him from their lives now will be excluded from His life in the future. Prayer: Heavenly Father, You are my God; may I be a faithful son/daughter who enjoys Your fellowship forever. Thanks. Amen. 22:1 "And He showed me a river of water of life, clear as crystal, proceeding out of the throne of God and of the Lamb, 2 in the middle of its street. On this side of the river and on that was the tree of life, bearing twelve kinds of fruits, yielding its fruit every month. The leaves of the tree were for the healing of the nations. 3 There will be no curse any more. The throne of God and of the Lamb will be in it, and His servants serve Him. 4 They will see His face, and His name will be on their foreheads. 5 There will be no night, and they need no lamp light; for the Lord God will illuminate them. They will reign forever and ever. 6 He said to me, "These words are faithful and true. The Lord God of the spirits of the prophets sent His angel to show to His bondservants the things which must happen soon." 7 "Behold, I come quickly. Blessed is he who keeps the words of the prophecy of this book." 8 Now I, John, am the one who heard and saw these things. When I heard and saw, I fell down to worship before the feet of the angel who had shown me these things. 9 He said to me, "See you don’t do it! I am a fellow bondservant with you and with your brothers, the prophets, and with those who keep the words of this book. Worship God." 10 He said to me, "Don’t seal up the words of the prophecy of this book, for the time is at hand. 11 He who acts unjustly, let him act unjustly still. He who is filthy, let him be filthy still. He who is righteous, let him do righteousness still. He who is holy, let him be holy still." 12 "Behold, I come quickly. My reward is with Me, to repay to each man according to his work. 13 I am the Alpha and the Omega, the First and the Last, the Beginning and the End. 14 Blessed are those who do His commandments, that they may have the right to the tree of life, and may enter in by the gates into the city. 15 Outside are the dogs, the sorcerers, the sexually immoral, the murderers, the idolaters, and everyone who loves and practices falsehood. 16 I, Jesus, have sent My angel to testify these things to you for the assemblies. I am the root and the offspring of David; the Bright and Morning Star. 17 The Spirit and the bride say, "Come!" He who hears, let him say, "Come!" He who is thirsty, let him come. He who desires, let him take the water of life freely. 18 I testify to everyone who hears the words of the prophecy of this book, if anyone adds to them, may God add to him the plagues which are written in this book. 19 If anyone takes away from the words of the book of this prophecy, may God take away his part from the book of life, and out of the holy city, which are written in this book. 20 He who testifies these things says, "Yes, I come quickly." Amen! Yes, come, Lord Jesus. 21 The grace of the Lord Jesus Christ be with all the saints. Amen." Observations: 22:1-5 Continuing the tour, the angel shows John a river, containing the water of life, that proceeds out from the throne of God and the Lamb. In the Millennial temple (Ezekiel 47) similar waters, flanked by many trees, flowed from under the threshold of the temple to the sea. A comparison of the two records indicate two different scenes (there is no temple in the Heavenly Jerusalem). On either side of the river of the water of life in the heavenly city was a tree of life (no definite article) which means there were two trees or one that spanned the river. The tree of life bore twelve kinds of fruit, perhaps one each month, and its leaves were for the healing of the nations. Why do the nations need healing? There is no curse any more. This is a reversal of Genesis 3 where the earth was cursed, and farming difficult (earthly trees only yield fruit seasonally) to a restoration of the pre-Fall state where abundance was the rule. The throne of God and the Lamb are in the city, and His servants shall serve/worship Him (cf Revelation 7:15-17 where the worship of the Lamb by the Tribulation saints is described with the same word and a similar setting). John rounds out the blessings of faithful God's servants describing the intimacy they enjoy with God (similar to that in the pre-Fall Garden). His name is on their foreheads, like the High Priest who alone was allowed into the Holy of Holies. There is no longer any night, nor need for lamp light, for God illuminates them, and they will reign forever and ever. Over whom do the faithful saints/servants reign? Angels (1 Corinthians 6:3)? Over whom do the kings of 21:24 (above) reign? There it is specified as the nations. Most of the difficulties raised in the above questions find a resolution in a view I first heard form one of my old professors (really old, he's a few years shy of the century mark), Dr. J. Dwight Pentecost, author of “Things to Come.” In class one day he mentioned that some thought the New Jerusalem hovered over the old earth during the Millennium, giving light to the earth (remember the sun got pretty trashed in the Tribulation), and then would finally settle on a new earth after the old one had been destroyed. Because the old earth was cursed, it could not be the abode of God “in person.” That's all I remember for the class, but this view allows for there to be kings and nations outside the city, faithful saints allowed into it, and unfaithful believers to be excluded from it. Faithful believers with glorified bodies (2 Corinthians 4-5) would be able to move between earth and a city suspended above it. Unfaithful, non-glorified “naked” believers wouldn't. One of the ways those believers ruling over the nations would be able to maintain their rule, during the Millennium, would be by having access to the leaves of the Tree of Life, to dispense for various ailments of the 1,000 year period (wrinkles being a major problem). The inhabitants of the nation of Israel would have access to the healing waters which flowed from under the Millennial temple (Ezekiel 47:8-9), so the leaves weren't specified for them. So while seeing the Heavenly Jerusalem which doesn't rest on earth until after the Millennial Kingdom, John describes features of it that relate to the Kingdom. An alternative view is to say that prophesy is a jumbled affair that doesn't always make sense, and John was just seeing a tangled mess and telling us parts of it out of order. But since there is a scenario that accounts for all the facts (see Sidebar for the 7 Questions, “How Do You Know What's True?”), and in light of the following verses, it's worth seeking an embracing that which best explains all the facts. 22:6-11 The angel says that the God of the spirits of the prophets has sent him to show what must happen soon, so that believers will understand and obey the revelation. Those who do will be blessed (those who don't, won't be blessed). When John heard and saw these things he fell down to worship at the feet of the angel (again - Revelation 19:9-10). The angel admonishes him to worship only God, and not seal or hide the words of the prophecy of this book because “the time is at hand.” These words stress that believers of all ages should always live ready to face their final day of judgment and retribution, which one day will be the next day. Verse 11 is somewhat ironic, sinners might as well continue to be sinners, and saints should continue to be saints because any day the judgment will come and fix them in their choices. While the faithful should continue to be faithful in light of the coming judgment, obviously sinners should repent. 22:12-15 Jesus now speaks, giving His last Sermon on Motivation. He is the Alpha and Omega, whom none can supersede (cf comments on Revelation 1:7-8 where He makes the same claim). He is coming quickly, and His reward is with Him. When He returns He will repay (as in wages that are earned) each person according to his works. No work, no pay (what about Colossians 3:24 don't people understand?). The believers who get blessed are those who have done, (as in works) his commandments (as in plural). This goes beyond belief (forgiveness/justification by faith) to faithful obedience and works (sanctification) which will result in reward (glorification). All three are aspects of our salvation, and effectively reverse the effects of the Fall. Only those believers who obey will have the right to the Tree of Life in the heavenly city. Only glorified believers will be able to enter the city. The second resurrection, after the Kingdom was for the unrighteous/unfaithful. If one understands the term “in Christ” to mean faithful believers “in union with Christ” (which is the only way to read most contexts where the term shows up), then only such believers would have been resurrected before the Kingdom to reign with Christ. It's possible such critters were included in the Rapture, in which case they would be among those ruled over. If not raptured, then these are the ones whose names had been written in the Book of Life, and then crossed out for renouncing their allegiance to Christ by their independent lifestyles. They were spared the lake of fire because they had been written in the Book of Life as a result of being justified/forgiven by faith (see comments on Revelation 20:15). These are those who were not allowed to enter the city in 20:8 whose inheritance (allotted portion, not themselves) was in the lake of fire (in contrast to the inheritance of the faithful in Revelation 20:7). They are the believers Paul warned would not have an inheritance in the kingdom. He was warning believers who do these things. 1 Corinthians 6:9-10 "Do you not know that the unrighteous will not inherit the kingdom of God? Do not be deceived. Neither fornicators, nor idolaters, nor adulterers, nor homosexuals, nor sodomites, nor thieves, nor covetous, nor drunkards, nor revilers, nor extortioners will inherit the kingdom of God. "Ephesians 5:5-6 "For this you know, that no fornicator, unclean person, nor covetous man, who is an idolater, has any inheritance in the kingdom of Christ and God. Let no one deceive you with empty words, for because of these things the wrath of God comes upon the sons of disobedience." They are also the forgiven but deceived Jews who refused their invitation to the wedding feast in the kingdom of heaven (see Matthew 22:1-14) who would not enjoy the festivities. Matthew 8:11-12 "And I say to you that many will come from east and west, and sit down with Abraham, Isaac, and Jacob in the kingdom of heaven. But the sons of the kingdom will be cast out into outer darkness. There will be weeping and gnashing of teeth." 22:16-17 Jesus says He sent His angel to testify to these thing for the benefit of the assemblies/churches. He is the Promised Messiah, the offspring of David (cf Revelation 5:5 the One who has prevailed to open the seals of the title deed to the earth; as well as the Davidic descendant prophesied of in the Davidic Covenant - 2 Samuel 7; Psalm 89), and the bright and morning star (predicted in Numbers 24:17 and 2 Peter 1:19; cf Revelation 2:28). As the Messiah, He invites anyone who hears and desires to come and take the water of life freely. This is the gracious offer of God to all humanity, each of which is slowly dying of thirst. 22:18-19 Jesus also gives a solemn warning that if any man, woman, priest or prophet adds to the book any additional revelation, claiming it to be from God, God will add to him the plagues written in this book. Jesus alone is the one who can open the seals and who has redeemed people, and will rule over them in the prophesied Kingdom. If anyone takes away from the words, God will take away his “allotted portion” from the book of life (a textual variant has “tree” but “book” fits the context), as in deprive of inheritance and access to the city (cf comments on Revelation 20:6; 21:8). 22:20 Jesus testifies to the veracity of these things and promises He will come quickly. John adds his prayer that the Lord Jesus will come, and then prays that the covenantal blessing of the grace of the Lord Jesus the Messiah would be with all the holy ones (saints). Application: Those who do what Christ has commanded will be blessed and repaid when He returns to reward His faithful servants. Those who don't obey don't get rewarded nor blessed. Prayer: Lord Jesus, I look forward to Your return and reward; please guide me in doing all that is pleasing in Your sight. Thanks. Amen. God in a nutshell: God will one day dwell with faithful men (and women) on a new earth, receiving the worship due Him, freely rendered by those who believe Him. Build-a-Jesus: Jesus is coming soon to reward those faithful to Him, who do/obey His commandments. He freely offers the water of life to all, and the fruits of the Tree of Life to the glorified saints who obey Him (cf Genesis 1-3). Us in a nutshell: Those who faithfully obey will be blessed and rewarded, have an inheritance in the kingdom, will rule with Christ, and have intimate access to God in the most pleasurable place in the history of the universe. Those who are unfaithful to Christ now will miss out on all those benefits, eternally. What could possibly be worth it? Don't miss the upcoming Catacomb Church Blog! Future DTB Posts will finish the TMS and have info about upcoming plans.